Will America run out of avocados if President Trump closes the Mexican border? One of the world's largest suppliers of avocados fears a shutdown at the U.S.-Mexico border would temporarily put his company out of business — and leave millions of Americans without their daily avocado toast fix. On Friday, President Trump threatened to shut down the country's southern border "or large sections of the border" if Mexico didn't "stop all illegal immigration" this week. Although the president called the closing a "good thing," the implications of a shutdown would have implications way beyond immigration processes. Economists have warned that closing the border could gravely affect Americans' access to fresh produce imported into the country. That shortage would most likely be felt by avocado lovers, as the U.S. imports about 80 percent of its totally avocado supply from Mexico. That means goodbyecreamy morsels of heart-healthy fats. Adios gorgeous guacamole. See you later wonderfully trendy — if not slightly overrated — avocado toast. Well, it's goodbye at least for a little while. Steve Barnard, chief executive and president of Mission Produce, the largest avocado grower and distributer in the world, said Americans could run out of avocados in as little as three weeks following a shutdown at the border, Reuters reported. "We would be out of business for a while," Barnard said. In March 2018, Barnard told The New York Times that his company was "scrambling" to keep up with America's avocado booming craze. Since the early 2000s, the company has grown between 10 to 15 percent each year to meet the rising demand. But if Trump is able to execute a shutdown, Mission Produce wouldn't be scrambling; they'd simply be unable to supply the U.S. at all. But is the situation really that dire? 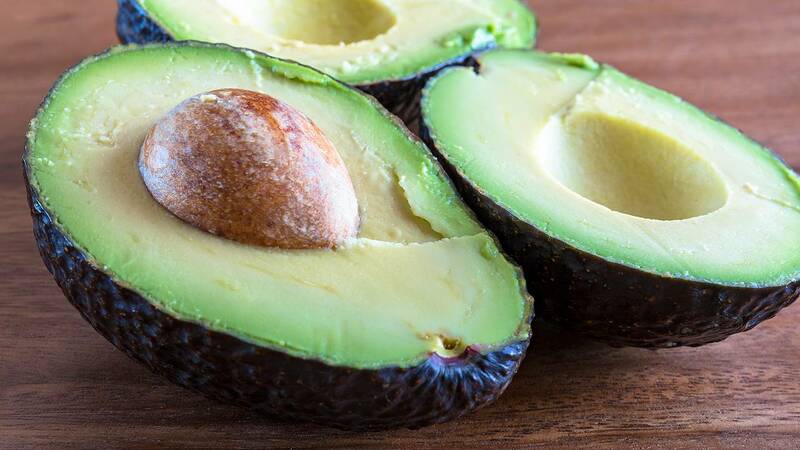 Though Mexico is the largest supplier of avocados to the U.S., about 10 percent of all imported avocados come from other countries, including Peru, Chile and the Dominican Republic. A border shutdown would not impact those imports. In California, which is the largest producer of domestic avocados, the harvesting season does not last throughout the entire year. Domestic avocados likely won't be available until late spring or early summer — and if they're in high demand, they'll likely be a lot more expensive. "You couldn't pick a worse time of year because Mexico supplies virtually 100 percent of the avocados in the U.S. right now. California is just starting and they have a very small crop, but they're not relevant right now and won't be for another month or so," Barnard told Reuters. According to the California Avocado Commission, less than 1 percent of the state's soil is actually fertile for avocados, which take 14 to 18 months to grow. That means an unexpected surge in domestic demand couldn't be met for more than a year after seeds get planted. Of course, it's not just avocados that Americans should be worried about. Currently the U.S. imports about half of its vegetables and 40 percent of its fruit from Mexico. A closed border would likely mean higher prices on many produce staples like tomatoes, cucumbers and blackberries. For the avocado obsessed, it might be safe to just start stocking up now. Here are a few handy tricks to keep a fridge full of guacamole green if push comes to shove.